What could I follow Bloomsday up with? 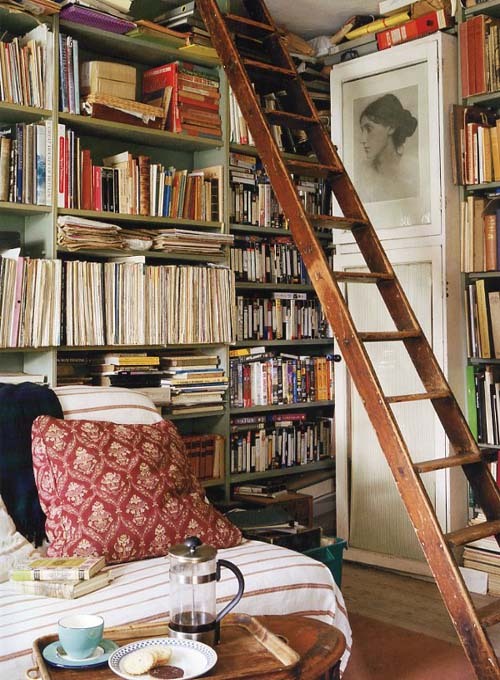 Well, only a bookish Irish home will do. 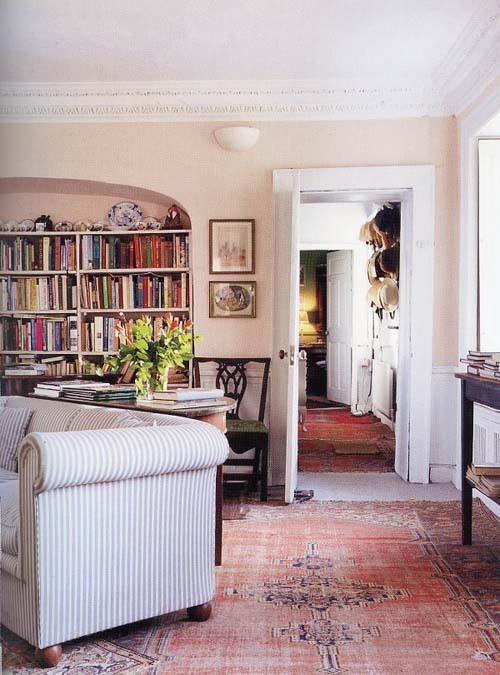 This is from my all-time favourite decor book, Romantic Irish Homes (previously blogged here). The house shown here is privately owned Higginsbrook in Co. Meath, built in 1743. The poet F.R. Higgins described the house as "A house of ghosts... among gardens where even the Spring is old". I love the image of an old Spring and can see it now in those layered Irish places. The house was also used as a set in Becoming Jane. When I look at this book, there's a certain cultivated carelessness that captures my imagination. It's a good reminder for me as I tend to strive to have things "just so" only to be annoyed by the artificiality of all that. Give me beloved patina over pristine any day! But, most of all, I love that there are books in nearly every room featured in the book. Romantic Irish Homes is beautifully shot by Simon Brown, written by Robert O'Byrne and published by CICO Books.